Would you like to have some elegant fruit plates? Choose the 6 fruit plates Anmut Platinum No.1 by Villeroy & Boch! The 6 fruit plates Anmut Platinum No.1 by Villeroy & Boch belong to the Bone Premium porcelain collection. 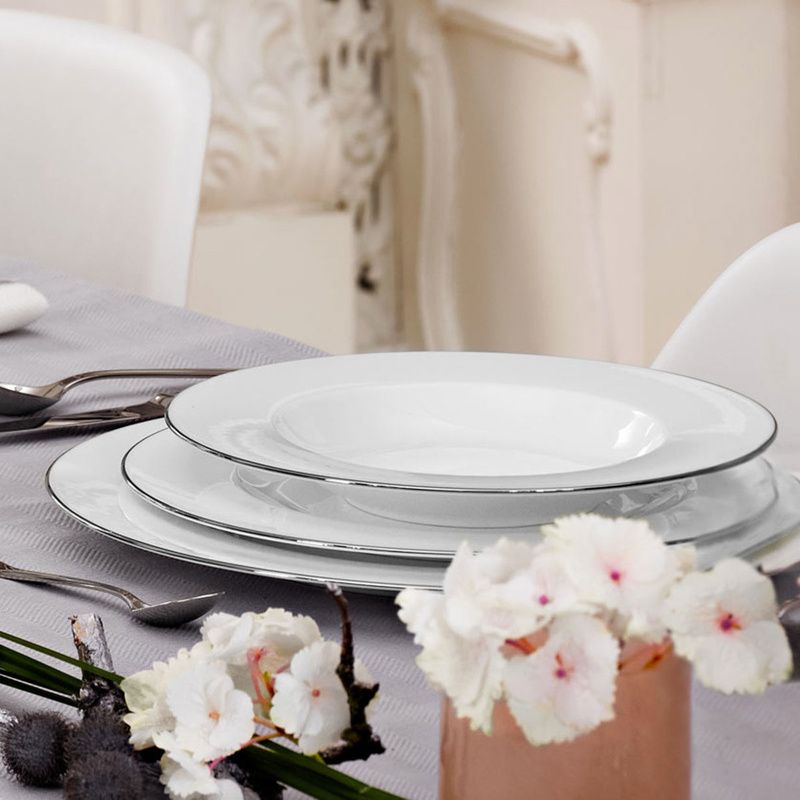 The 6 fruit plates Anmut Platinum No.1 by Villeroy & Boch stand out for their gentle and refined appearance, which gives them a further touch of elegance. 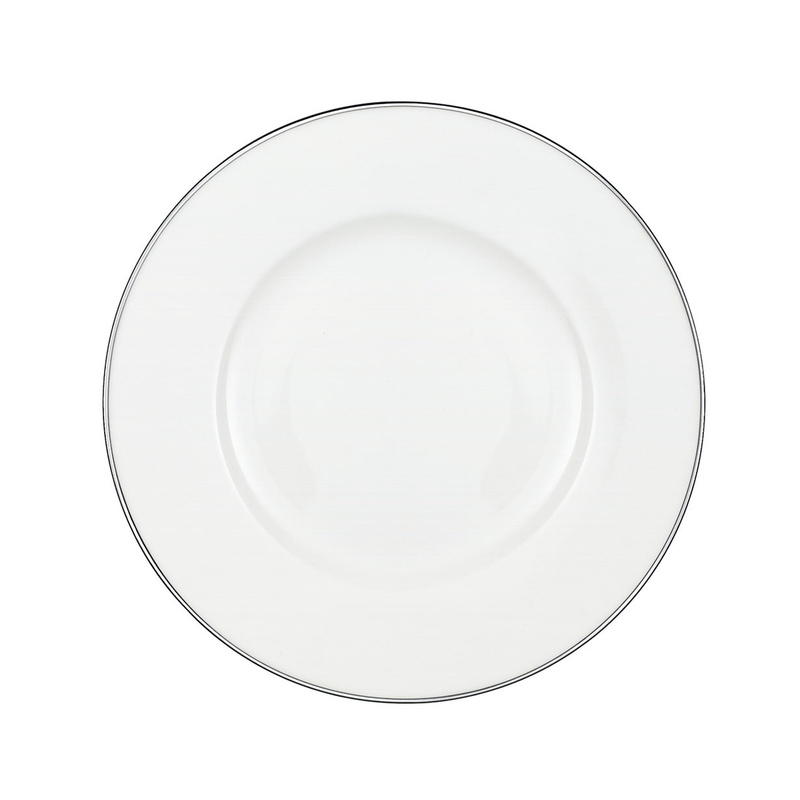 The 6 fruit plates Anmut Platinum No.1 by Villeroy & Boch were in fact designed and manufactured in white and adorned with a thin platinum line along the edge. These features give them a refined touch of sophistication, enhanced by this line along its edge. The 6 fruit plates Anmut Platinum No.1 by Villeroy & Boch are ideal to enjoy some good fruit as a snack during the day or at the end of a lunch, dinner or buffet with friends and family. The 6 fruit plates Anmut Platinum No.1 by Villeroy & Boch can be combined with other Bone premium porcelain items belonging to the same collections that includes dinner plates, oval and round serving dishes, cups and saucers for coffee and tea, a teapot, a sugar bowl, a sauce boat with plate, a salad bowl. 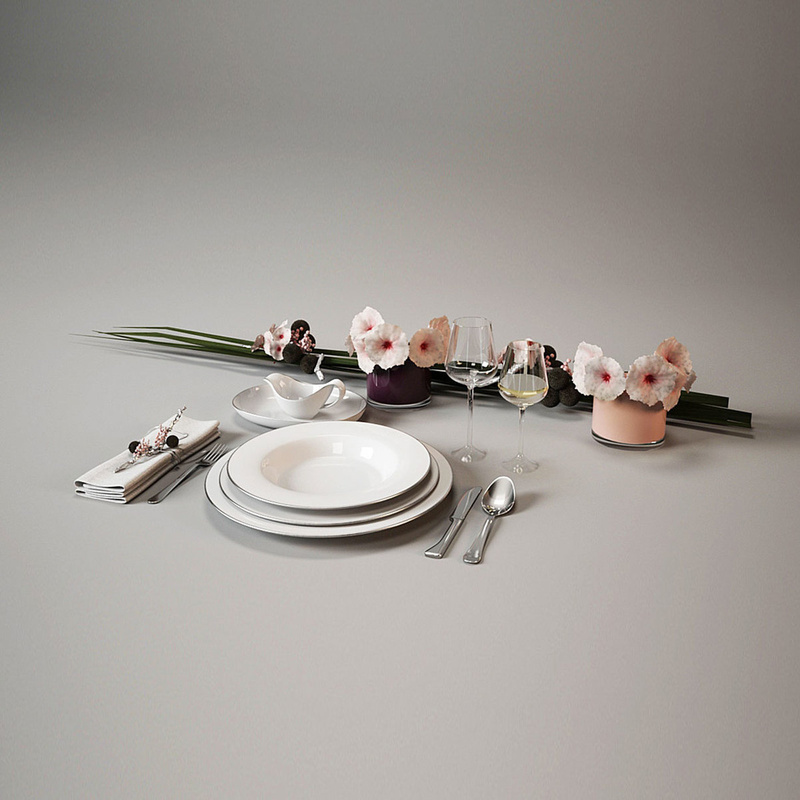 All these Bone Premium porcelains compose the Anmut Platinum No.1 line by Villeroy & Boch. They are all white and enriched by the line platinum line along the edge. 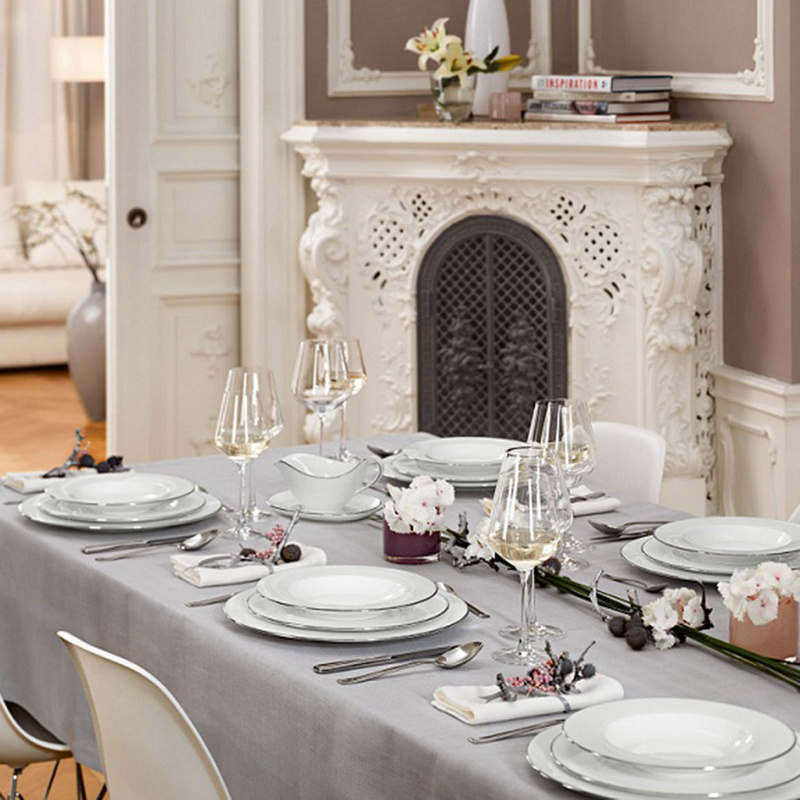 By choosing set composed of the beautiful porcelains Anmut Platinum No.1 by Villeroy & Boch, you have the possibility to enjoy a tea or coffee break, or to organize lunches, dinners and buffets for your friends and family, creating a refined and delicate atmosphere. 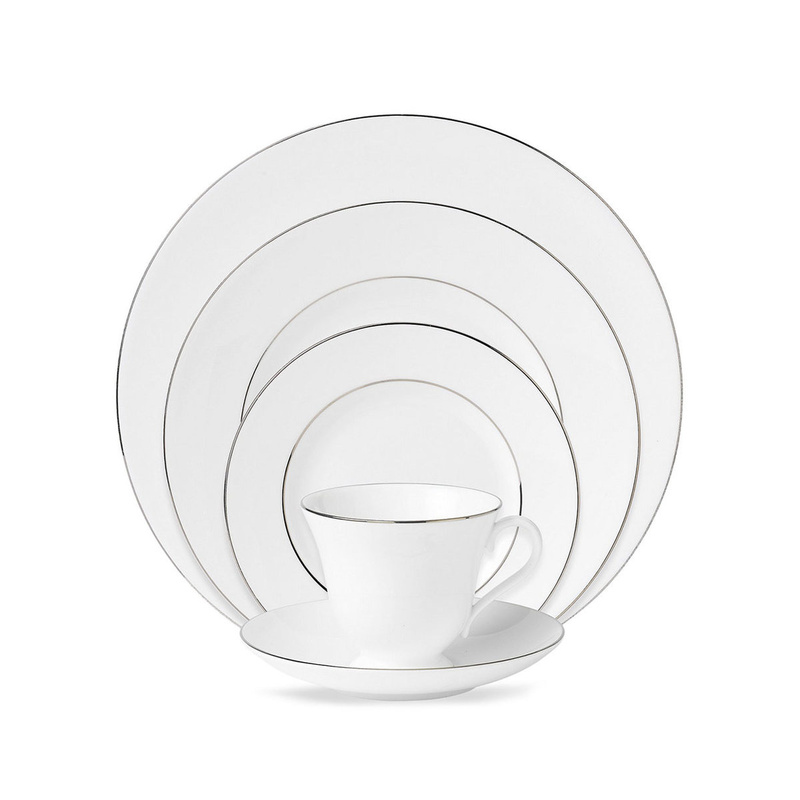 The set of porcelain Anmut Platinum No.1 by Villeroy & Boch offers in fact the opportunity to enjoy a good cup of tea or coffee or to attend lunches, dinners and buffets, immersed in a wonderful world of precious and fine porcelain. They also represent a nice set to be displayed in the window of a cabinet, or to be exhibited in any room of the house to embellish it in a graceful, delicate and unique way!